I recently moved to a new home, which is "out in the country" more or less. I now see lots of wildlife (rabbits, javelina, birds, squirrels). I also see rattlesnakes now and then, which I don't mind, but they are a hazard and I am now thinking about ways to mitigate the risks they bring, and perhaps in some cases to move them. Unusually, I see more rattlesnakes around my home than I do when out and about camping in the desert. Perhaps I have moved into an area of perfect and nearly ideal snake habitat. Perhaps my activites are such that I simply encounter the snakes more around my new home (my neighbor said that he sees only one or two snakes each year, I have had 3 sightings in only a month). I suspect that the habit is fairly optimal based on the number of rabbits and squirrels. My guess is that human habitation (particularly gardening and irrigation) in close proximity to "wild" desert is producing an enhanced population. Western Diamondback Rattlesnake - Crotalus atrox - These can be large and aggressive. "coontail". Mojave Rattlesnake - Crotalus scutulatus - Aggressive with a potent neurotoxic venom. Greenish tinge. Distinguished from the diamondback by wide black tail rings. Tiger Rattlesnake - Crotalus tigris - unique to south central Arizona, small but dangerous with a neurotoxic venom like the Mojave. It likes very rocky areas, is nocturnal and seldom seen. The diagonal stripe behind the eye on a Mojave does not touch the mouth, whereas the Diamondback has a stripe from the back of the eye that does. Nonetheless, telling the two apart is tricky. The black tail stripes on the Mojave are often incomplete. People sell "snake tongs" and it does not look too hard to make a snake hook from a "rafter hook" like you hang bikes from and an old golf club handle. Mike Percy (449-4200) is a recommended guy doing canine snake aversion training in the Tucson area, charging $75. Annual "refresher" sessions are recommended. He works with Desert Wildlife Services (Dave Purwin, 743-1411). One outfit doing "snake avoidance" training (in California) charges $70 per dog, so this seems to be the going rate. The word is (I had heard this by rumor, and now find an authoritative study) that long distance relocation does not work, for the snake at least. The snake has an area it knows (as large as several miles in size) and will be unlikely to survive if moved outside of it. The snake knows its range intimately (so if simply moved within its range, you would think, it would just return to known spots that it likes). If all this is true, the thing to do is to clean up the yard, remove holes and hideouts and brush piles an force the snake to find more suitable places elsewhere. Also, providing food and water for bird and particularly rodents will serve to boost the rodent population and attract snakes. The following link is to an article published in the Sonoran Herpetologist (journal of the Tucson Herpetological Society) Volume 14, No. 6, 2001 entitled "Relocation of Nuisance Rattlesnakes: Problems Using Short-Distance Translocation in a Small Rural Community". The small community studied was Portal, Cochise County, Arizona. It is worth noting that many house spiders are harmless, benign, and perhaps even beneficial. 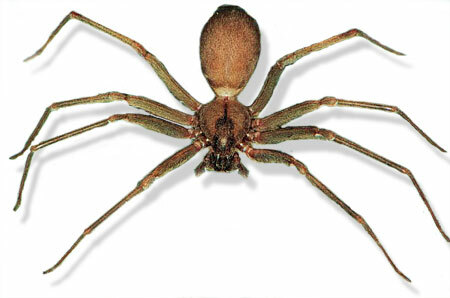 So it is worth overcoming foolish spider "phobias" and taking a new look at these creatures. In particular, it is pointed out in several places that catching a house spider and tossing it outside may well be a fatal exile. 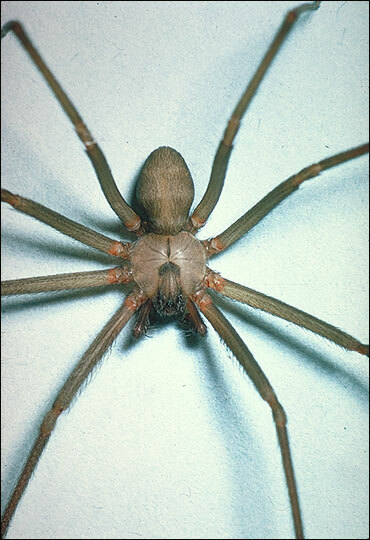 Along with snakes, another creature of concern is the brown recluse spider. Black widow spiders like to build a very obvious and distinctive messy web and remain within it for the most part. 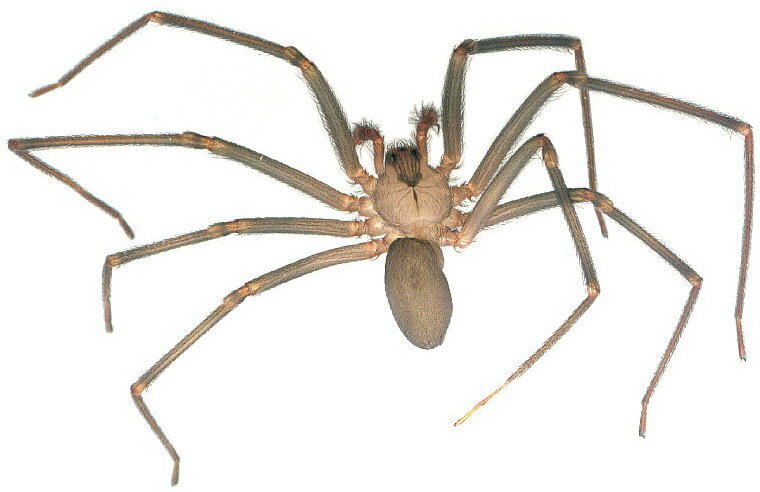 The recluse spiders like to hide in cracks by day, but may also choose to hide in objects unwittingly offered by humans such as clothes left lying on the floor or a messy closet. (A cluttered dark closet is an ideal environment.) During the day they hide in such places, and emerge to hunt at night. One note says that they are unable to bite humans without some counterpressure to trap them against our skin, hence most bites seem to occur when seldom used clothes are worn. The spider, who was hiding in the clothes, finds himself trapped adjacent to a persons body and bites them. Most bites result in an ulcerated area no larger than a dime, but much more severe bites do occur. 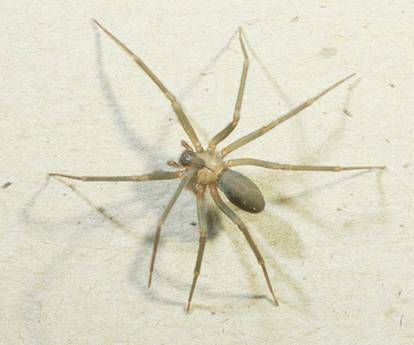 In Arizona, we actually have the Arizona Brown Spider (Loxosceles arizonica) and not the true Brown Recluse Spider (Loxosceles reclusa). There are 12 or 13 species of Loxosceles in the United States. When one is found, there are probably more (they live in groups). Clean up trash and brush around your home. Keep the foundation area of your house clear of weeds and plants. Don't store boxes or other items under your bed. Don't leave clothes, towels, etc. on the floor. Don't store shoes on the floor, and shake them out before donning.